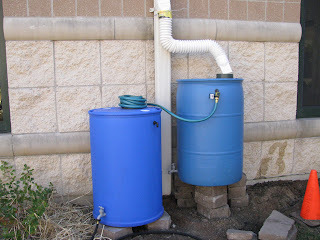 With such a rainy and flood-producing spring, one’s thoughts may just turn to something practical–rain barrels. Let’s look back on last fall’s rain barrel project in Blue Island. Illinois-Indiana Sea Grant was one of five lead partners in the “Blue Island, Blue Water” community-based program designed to reduce stormwater overflows and flooding issues in the Chicago suburb. Over the course of the project, more than 140 volunteers installed rain barrels at 33 different residential locations and three institutional buildings. 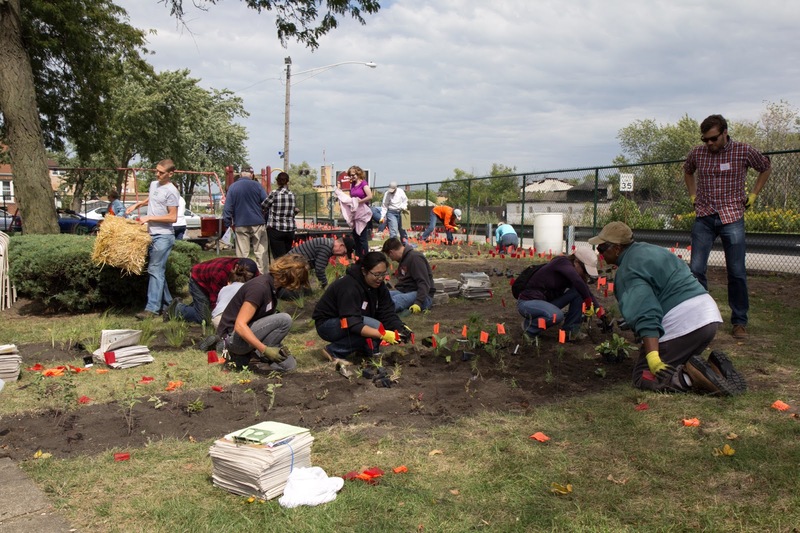 Additionally, more than 1000 plants and nearly 100 trees were planted to help improve water management and beautify neighborhoods at the same time. The “Blue Island, Blue Water” project was also chosen as a 2012 Millenium Reserve Model Project. The project’s inclusion also makes it part of the President’s “America’s Great Outdoors Initiative,” which helps align federal efforts and funds with conservation and recreation projects on the local level where they can make real and immediate impacts. You can learn more about the project at the links above and at this ABC 7 news report from earlier this year. And read more about the Millennium Reserve’s place within the initiative here. In addition to Illinois-Indiana Sea Grant, lead partners included the Illinois Department of Natural Resources, the Metropolitan Planning Council, University of Illinois Extension – Cook County, and the U.S. Green Building Council.